Nantwich based Home Care provider, Right At Home South Cheshire based in recently organised a fundraising barbeque at Crewe Vagrants Sports Club which raised over £800 for Mid Cheshire Hospitals Charity dementia appeal. The event was open to all ages and over 200 people attended including care givers and clients from Right At Home. Guests enjoyed live music, a selection of interactive stalls and delicious barbeque food. Carole Salmon, Community Fundraiser for Mid Cheshire Hospitals Charity added, ‘I was delighted to be able to attend this impressive event. From the live music to the fabulous raffle, it was so lovely to see everyone enjoying themselves and smiling. The money raised on the day will go to our dementia appeal which will fund numerous projects across our hospitals and in the community to improve the service for people living with dementia, so big thanks to Right At Home and everyone who supported it’. To find out more about Mid Cheshire Hospitals Charity dementia appeal and how you can be involved, contact Carole Salmon, Community Fundraiser on 01270 273248. For information about home care or employment opportunities with Right At Home South Cheshire call 01270 257347. The council’s budget for the adult care sector is around £80m for 2018/19 – of which around £25m is for care at home services. However, the council faces a significant financial challenge – due to reductions in government grants, rising costs and increased demand for care services. ● Anyone concerned about the changes to care at home provision, or who would like further information, should contact the council’s Danielle Stuart on 01625 374207. A free family day of activities, music and stories to commemorate the First World War is being held in the historic grounds of Tatton Park’s Old Hall, Knutsford, on Sunday 26 August. Hosted by Cheshire East Council, the day starts at 11am and involves a range of fascinating hands-on activities for ‘A Soldier’s Story’ when visitors can help to uncover the past by tracing a local soldier’s personal wartime story. It’s a unique opportunity to handle precious historical artefacts, explore family history and enjoy craft activities, creative writing and storytelling. Visitors can also bring a picnic to the Cheshire East Reflects family concert which starts at 1pm, set within the striking backdrop of Tatton’s medieval Old Hall. The concert will feature the Staffordshire Military Wives’ Choir and the famous Foden’s Brass Band. The inspiring ‘Sacred Sounds’ performance will tell the story of British India’s involvement in the First World War. The event is part of the council’s ‘Cheshire East Reflects’ four-year programme of remembrance of the sacrifice by the people of Cheshire East during the First World War. Local residents, community groups, arts organisations and partners, such as the Imperial War Museum North, have all participated in the programme with more than 25,000 people attending events and taking part, including free schools workshops. “This will be a fantastic and also poignant day of events with lots of hands-on activities for families, gripping stories and inspirational music. Cheshire East Reflects has been a thought-provoking programme that has paid a moving tribute to the tremendous courage and sacrifice of Cheshire’s soldiers”. The annual Wistaston 'Duck Race and Children’s Model Boat Race' takes place on Saturday 8th September 2018 at the Joey the Swan recreation ground, Wistaston. Stalls open from 1pm. Children’s Model Boat Race starts at 2:30pm. Duck Race starts at 3:15pm. Duck Race tickets = £1 each (available on the day). The event is organised by members of the Wistaston Community Council. The main sponsors are iWear Opticians - an independent opticians based in Nantwich and Tarporley, http://www.iwearopticians.co.uk/ . Children will get the chance to take part in a fun learning initiative which will develop their skills in digital creativity, coding, design and music. Cheshire East Council’s Shift digital activities programme has launched a new events initiative called ‘Make Shift Crewe’. This is in partnership with the council’s library services and Wavemaker, a community interest company based in Stoke. There will be a total of eight free sessions on Tuesdays and Thursdays throughout August – starting on Tuesday 7 August and finishing on Thursday 30 August. These were funded by Crewe Town Council . Through this initiative, youngsters aged between five and 18 will be able to set up a mobile digital laboratory, carrying out a range of fun learning activities. The ‘drop-in’ sessions will focus around working with animations, computer coding work and 3D printing, as well as the popular construction game Minecraft. Councillor Jos Saunders, Cheshire East Council cabinet member for children and families, said: “This is an excellent opportunity for children to have fun, learn and develop their skills during their holidays. Parents are able to watch their children play and develop their creative skills and they can get involved too! Charity fundraising friends Roy Price, 51 from Crewe, and Ian Jones, 46 also from Crewe, have thus far this year raised over £2,700 by pushing a 100kg wheelbarrow and wearing a bear costume respectively on a fourteen mile walk from Crewe to Nantwich and back, via a Garden Party at The Woodside in Wistaston and a charity night at the Bombay Restaurant in Crewe. The pairs next challenge on Sunday 9th September 2018 is another walk involving a wheelbarrow and the bear costume, but this time they intend to walk up a mountain! They plan to climb Snowdon, which is the highest mountain in Wales and has an elevation of 1,085 metres above sea level. Roy and Ian are both raising money for the Macmillan Chemotherapy Suite at Leighton Hospital in Crewe. Roy in memory of his wife - Ruth Price - who passed away in February this year from secondary breast cancer. Ruth was treated at the Macmillan Cancer Unit at Leighton Hospital. Ian in memory of his mother - Janet Jones - who also passed away from cancer. Their target is to raise £5,000 and in late-September this year Roy will aim to climb the Mount Kilimanjaro volcano in Tanzania - the highest mountain in Africa. In readiness for Kilimanjaro Roy is receiving training from EDGE Travel Worldwide via their ‘Sofa to Summit’ programme which includes health, nutrition, fitness and training along with UK walks. Roy’s latest challenge will be part of his training. Tatton’s Old Hall is bracing itself for a Viking invasion, 1,000 years since Norsemen first crossed the Cheshire borders. And these ones are no less terrifying! On Sunday, August 12 The Vikings of Middle England will be staging a dynamic and exciting re-enactment event in the atmospheric grounds of Tatton’s Tudor Old Hall. Witness the clash of steel and hear the smash of axe on shield as these hardened warriors demonstrate Viking combat skills. The Vikings of Middle England are renowned for their historical authenticity and their ‘realistic, exciting and entertaining battle displays. It’s not all about battle and ‘bloodshed’; around 30 re-enactors will be setting up an authentic Viking camp at the Old Hall and demonstrating the domestic side of Viking life. They will be joined by The Viking Long Ship Experience who will show that Vikings were traders as well as raiders and invaders. Visitors can learn about the Viking way of life through other living history activities such as story telling, blacksmithing, cooking over open fires and coin-striking. A number of other displays will keep young and older visitors entertained from storytelling to the opportunity to try on armour and test out their own expertise with an archer’s longbow, for a small charge. 12pm to 5pm (last entry 4pm) at the Old Hall. Prices: adults £7, child £5, Family £19 (2 adults and up to 3 children). Normal Parkland Vehicle entry of £7 per car applies. Additional small charge for have a go archery. Burty Bear’s Storytime and Picnic! Following reports of anti-social behavior on Saxon Gate Play Area, Cheshire Police are holding a new type of regular event where children aged 3-7 can take part in a police themed story time and activities with Local PCSO’s and Burty the Police Bear- Our new mascot! We will also be asking for some of you to take our police bears home with you for a holiday and write some stories of their adventures to share at the next session! The event is aiming to bring the community together and create a more positive atmosphere at the park for the local residents and younger children and to also teach them about the importance of trusting the police! Please come and join us for our very first session and let’s make this a success! You will need: Drinks/snacks and your favorite teddy! 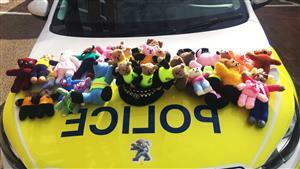 The idea for the 'Teddy bear picnic' theme stems from an ongoing initiative that is running where Cheshire Police are encouraging the local community to knit 'Buddy Bears' that will go in our response cars to be given out to children to provide comfort following a traumatic situation. If you would like to get involved in this project please get in touch! St Andrew’s Church on Bedford Street in Crewe has a new Curate, the Reverend Catherine Cleghorn. Catherine will be based at the church for the next two to three years and brings a wealth of gifts to her ministry, as well as being able to play the ukulele! Catherine was welcomed to St Andrew’s Church at a Morning Service on Sunday 29th July 2018, following her ordination at Chester Cathedral by the Bishop of Chester on 22nd July. Priest-in-Charge of St Andrew’s Church, Reverend Lynne Cullens presented Catherine with a bouquet and a card by the Churchwardens, Marta Jones and Alan Hurst, who welcomed her on behalf of the parochial church council (PCC) and congregation. Also present at the service was the Mayor of Crewe, Councillor Brian Roberts and Cheshire East Councillor Jill Rhodes. Catherine will be part of the core team leading the St Andrew’s holiday fun and food scheme, The Lunch Stop, as well as spending time meeting with members of the church and wider community. Rev Lynne Cullens said “We are delighted to welcome Catherine to serve her curacy both in our parish and with Rev Jane Colley at All Saints and St Peter’s. Catherine is a teacher by profession and a gifted musician. She has a keen interest in youth ministry which will be a key focus for her here in the months ahead. We are very much looking forward to her contribution to our mission here in central Crewe”. Patients in a permanent vegetative state will now be allowed to die by withdrawing food and water. This is barbaric & uncivilised. If you let a pet die like that, you would be rightly locked up. If the patient has reached the end of their life, they should be allowed to die by lethal injection, not by depriving them of food and water. That would be the humane thing to do. Most Brits would agree with this. 80% of the British public agree that a person with a terminal and painful illness from which they will die, should be allowed assistance to die. Despite this MPs will not vote for this change in the law. It is yet another example of where the MPs are out of touch with their constituents. Local Crewe brothers Stuart and Alan Mackay walked from Edinburgh to Leighton Hospital in Crewe to raise money for Mid Cheshire Hospitals ‘Everybody Knows Somebody’ dementia appeal. Stuart and Alan have been long distance walking for four years. Starting in 2014 with an idea to walk The West Highland Way, they have pushed themselves every year to continue to the very top of the country, before deciding to go back to the beginning and walk the other way. Their ‘Walk N Boots’ challenge took place at the beginning of April over three weeks and covered over 400 miles. They exceeded their original target of £1000 with a final total raised of £2478.64. A dealer in fake designer goods brought to justice by Cheshire East Council has been told by a court to hand over £5,000 or face jail. 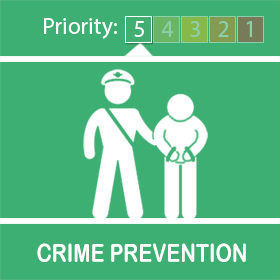 Tracey Bell, 53, who owns and runs Alsager Tanning Studio, in Station Road, Alsager, sold counterfeit designer goods with an estimated genuine value of £100,000. Items included designer label jewellery and watches, phone accessories, make-up, bags and clothing, footwear, perfume, sunglasses and headphones. The fake goods were labelled under exclusive marques including Chanel, Louis Vuitton, Hermès and Beats. Goods were acquired during a test purchase operation conducted by Cheshire East Council officers, who found counterfeit items on display in the studio. 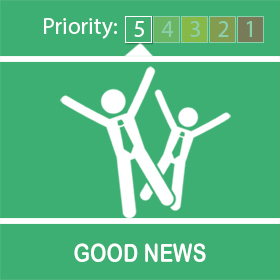 Further counterfeit goods were found on the premises as well as counterfeit items being offered for sale online via Facebook. Chester Crown Court, sitting last September, imposed a four-week prison sentence for each of four offences, to serve concurrently, suspended for 12 months and also imposed a six-month supervision order. Cheshire East trading standards, which brought the prosecution, subsequently launched a financial investigation which led to a proceeds of crime confiscation hearing at Chester Crown Court last week (20 July 2018). Bell, of Rode Heath, was given three months to pay a total of £5,220.74 under the Proceeds of Crime Act 2002 or face a default sentence of three months in prison. Councillor Janet Clowes, Cheshire East’s cabinet member responsible for communities, said: “Although buying a fake designer handbag, watch or sunglasses might be seen as a ‘victimless’ way to get something desirable on the cheap, the money made from the trade in these types of goods is often used to fund significant criminal activity and impacts genuine business. Such goods are also often unsafe and pose a significant safety risk. 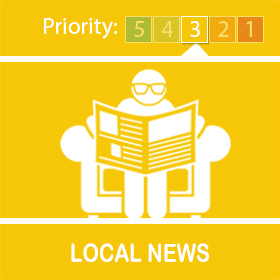 “Cheshire East Council is acutely aware of the destructive effect that organised crime can have in communities, aware too that illicit trade is often a significant funding stream for these groups. 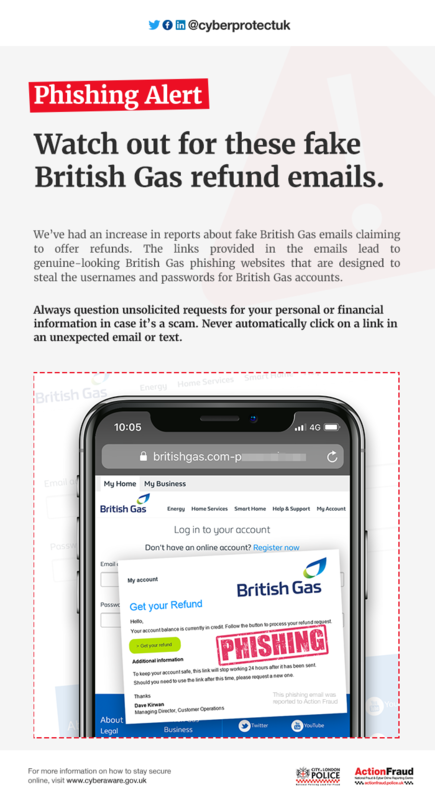 We welcome intelligence provided from the local community – as such information is the lifeblood of enforcement, protecting consumers and legitimate business across Cheshire East. Or ring the Citizens Advice consumer service on 03454 040506. Cheshire East Council’s drive to reduce the use of paper has seen the authority scoop a national award. The council’s waste permit scheme, which is accessible from the council’s website, was put forward as an example of how the council is embracing the digital age by cutting down on the use of paper, both for the authority and residents. The council has won an award for the’ best small scale digital application/project’ in the 2018 public sector paperless awards in Manchester. On average, the council processed more than 10,000 waste permit applications a year and 60,000 permits were printed and posted for residents requiring special permits for using the council’s household waste recycling centres. A waste permit is required by anyone using a commercial vehicle or car with trailer. In the financial year 2016/17, the council processed 6,845 applications online and 3,551 by phone, with a further 900 calls to process a change of address, vehicle registration or a general enquiry, usually resulting in the printing of a fresh permit to be posted out. Through its innovative digital customer services project, residents were able to apply for a permit online and present proof of a permit at a household recycling centre using a mobile phone, tablet or laptop. In the first three months after the digital system went live, in November 2017, 9,036 waste permit applications were processed, 93 per cent of them online – an increase of 26 per cent – and 97 per cent of permits were distributed via email rather than by post. Councillor Liz Wardlaw, Cheshire East Council cabinet member responsible for customer services, said: “In the brief time this new system has been operating, we estimate this will save £36,000 per year in paper costs, postage and officer time, and so the potential for greater economies across the council is tremendous. “As a customer-focused council, we want to provide a better experience when residents and businesses use council services online – an experience that matches many of the other digital services and tools our residents will use each day. “Delivering new and improved digital services will deliver significant financial benefits to the council – and to council taxpayers – in the long term. Cheshire East Council established its digital customer services project to embrace the digital age and to enable customer contact across all services to be primarily delivered through digital channels. Many residents and businesses expect to be able to access services, products and information 24/7, through mobile phones, tablets, ipads or their desktop PC. · Access for all – assisted digital support provided for customers who need extra support. Working in partnership with Ansa – the council’s wholly-owned environmental services company – the digital team identified an opportunity with the waste permits process that could cut down on admin, paper and printing costs and deliver digital waste permits to a customer’s mobile device for presenting at the council’s recycling centres. The system also enabled spontaneous mobile application and response. A customer arriving at a household waste recycling centre without a permit can apply for a permit on arrival, using their mobile device. A number of other features, including barcode recognition, were embedded into the mobile app, to enable the whole operation to run smoothly. Private sector landlords operating in Cheshire East are being warned of tough new penalties to crack down on poor housing standards. Cheshire East Council has amended its housing enforcement policy to include new powers, which could see the most serious offenders banned from letting properties altogether or entered on to a national database of rogue landlords. In addition, landlords will have to ensure their properties comply with a minimum energy efficiency standard or face a fine of up to £5,000. These new powers add to the enforcement options already available to the council, which include civil penalties of up to £30,000 and rent repayment orders for certain housing offences – both of which were added to the policy in August 2017. Since last year, the council has issued fines totalling almost £25,000 against five landlords, all of whom had failed to apply for a licence for a house in multiple occupation (HMO). Councillor Ainsley Arnold, Cheshire East Council cabinet member for housing, planning and regeneration, said: “There are many responsible private landlords in Cheshire East, who offer well-managed accommodation that is of a good standard, helping to ensure the welfare of tenants. “Disappointingly, though, there are a small number who either do not understand their legal responsibilities when providing housing or deliberately ignore their duties. “This council is committed to challenging poor-quality housing and will proactively work with landlords to improve standards, where they fall short. The updated housing enforcement policy now includes a guide for landlords of HMOs, outlining the amenities, property and management standards expected of them and details a stronger ‘fit and proper person’ test. It also includes the revised definition of HMOs that require a licence. From 1 October, all HMOs where there are five or more occupants – living in two or more separate households – must be licensed. To let the council know about a suspected HMO, visit: www.cheshireeast.gov.uk/hmo and fill in the online form. Details of HMOs that are already licensed can be found by selecting the ‘register of licensed houses in multiple occupation’ tab.